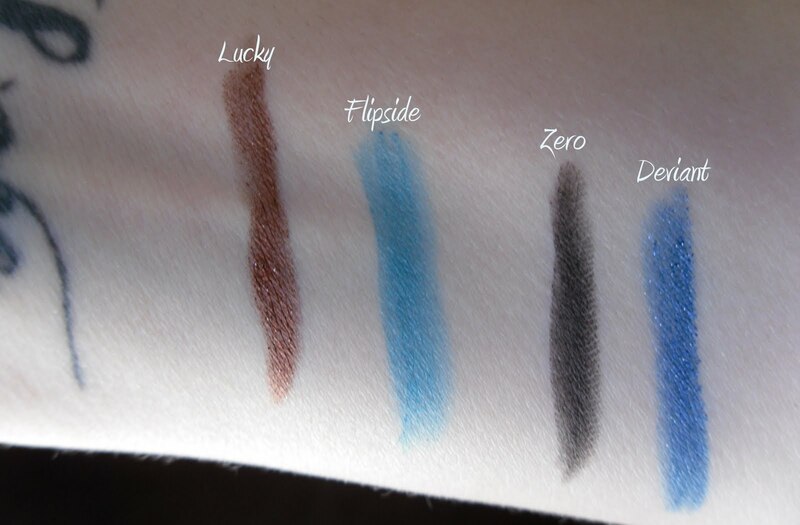 My all time favorite eye liner hands down are the Urban Decay 24/7 glide on eye pencils. The great thing about these is they last all day, they are non irritating and highly pigmented. They come in tons of different shades as well, these ones here are my favorites. I have no pros and cons for these because they are simply amazing and if you don't have one you should go pick one up you wont be disappointed. If you are more of a fan of the liquid liner you should check out Kat Von D's Tattoo Liner in Trooper. I was never very good with liquid liners until I came across this one. It gives you a precise line with no runny mess. The felt tip is super soft and not harsh on your skin. I also like that the color is a bit more matte, if your going for more of a natural look it goes great. It is not waterproof. Would I recommend it: Yes, both of these are amazing liners and good to have to any and all looks.